Mozart composed his five violin concertos as a group, in quick succession, in 1775, his nineteenth year. (The first concerto was probably written earlier.) He was at that time a young but experienced composer: he had already written around 30 symphonies, nine operas, eight masses and a great deal of dance music and chamber music. But his experience with solo concertos was still quite limited. "With the passing of years it has become increasingly clear to me that Mozart, who was still active as a violinist during the period when he was writing his violin concertos, was used to exploiting the qualities of different registers in his compositions. (-) Mozart's text evoked a colourful response from my instrument, from which I could then benefit as a performer. Articulation was another area where my choices were guided to a substantial extent by the possibilities of the instrument. 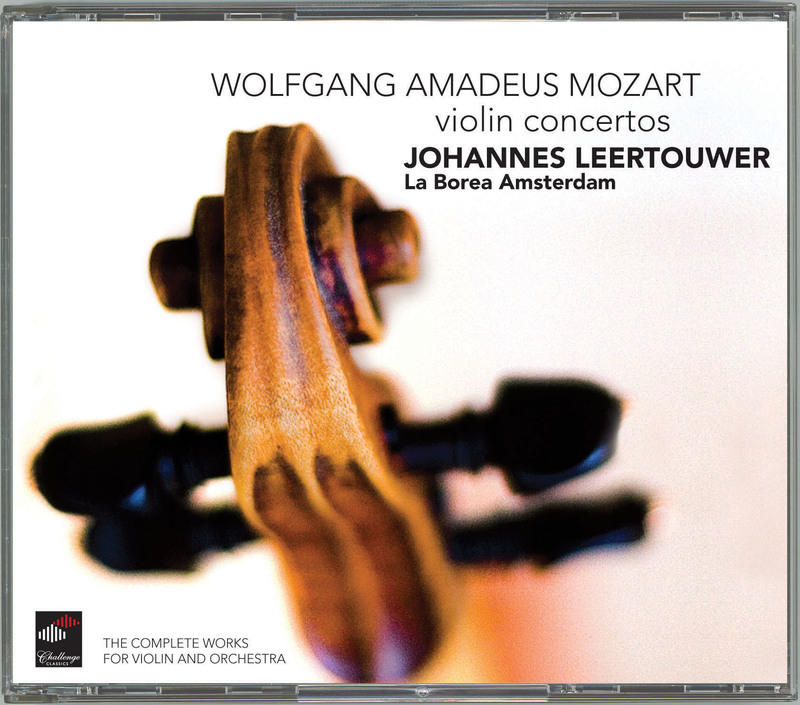 In this respect my Amati is like an inspiring teacher, encouraging me to apply and convert into sound the knowledge I have accumulated from other historical sources"
Johannes Leertouwer is a violinist and conductor with a distinct personal style and a very broad repertoire. As one of the leading Dutch specialists in the interpretation of 18th century repertoire he conducts both traditional symphony orchestras and period instrument groups and his repertoire ranges from baroque to contemporary. As a guest conductor he works regularly with the renowned choir and orchestra of the Netherlands Bach Society, the North Netherlands Orchestra, and the Osaka Symphoniker of Japan. Since 1998 he has been the artistic director and principal conductor of the Netherlands Youth String Orchestra. He made a large number of CD recordings. He teaches violin at the Conservatory of Amsterdam since 1990. La Borea Amsterdam was founded by Johannes Leertouwer in 1990. Since then the ensemble has realised a select number of unusual projects in co-operation with the Holland Festival of Early Music, Studium Chorale in Maastricht and other organisations. La Borea is made up of leading musicians specialising in historical performance on period instruments.